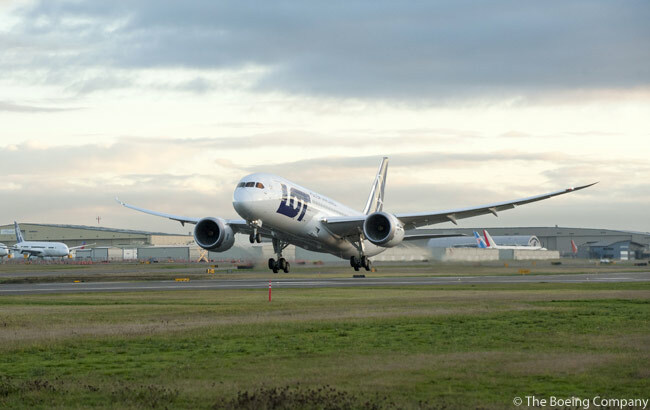 LOT Polish Airlines, the first European carrier to operate the Boeing 787, is introducing a new premium economy class on its Dreamliner flights. The carrier is offering introductory round-trip fares in the ‘Premium Club’ cabins of its Boeing 787-8 jets. LOT’s promotional Premium Club fares to Warsaw start at $1,777 from Chicago O’Hare International Airport and $1,677 from New York JFK when booking on www.lot.com. These special fares must be purchased by June 2. Fares include all taxes and fees and are subject to availability as well as price changes without notice. 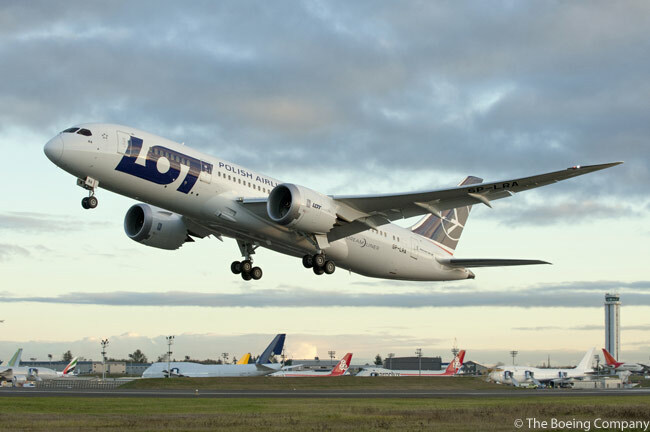 LOT Polish Airlines will begin flying the Boeing 787 from Chicago to Warsaw on June 5, from Toronto Pearson International Airport to Warsaw on June 7 and from New York JFK to Warsaw on June 30. In the separate Premium Club cabin, passengers will find 19.7-inches-wide (50-centimeters-wide) seats in a three-row arrangement, increased seat recline and a number of upgraded features. Premium Club passengers will have 10.6-inch seatback monitors with a USB and power outlet at each seat, and will be offered upgraded meal service and drink selections. Additionally, Premium Club passengers will use a dedicated check-in desk and have access to the priority lane at the airport security checkpoint. Premium Club passengers are also allowed one additional free piece of luggage and their bags will receive priority baggage handling on arrival. LOT Polish Airlines is one of the oldest airlines in the world, operating commercial services since 1929. Now LOT aircraft fly to nearly 60 destinations in Europe, the Middle East, North America and Asia.